Growing-up to be an actual astronaut is a daunting and competitive career path considering how many astronauts there really are in the world. So why is it that so many children have dreams of working or living in space? Perhaps it is the adventure that challenges the imagination and compels the dreams — equating the vastness of space with the unlimited opportunities it could provide. 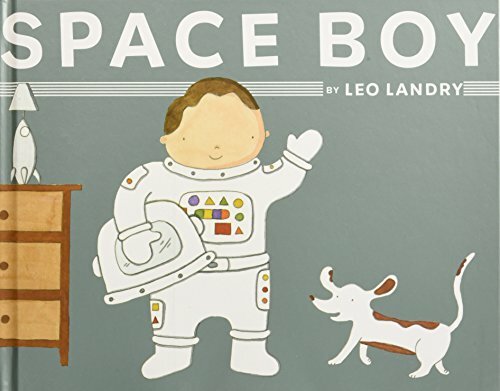 The following shared reading book list features both nonfiction/biography books as well as fictional works to inspire your child’s interest in adventures in space. Ask your child questions about the book cover – encourage your child to make predictions about the story or book information based on the cover elements: title, author, illustrator, picture, book blurb/summary. Share any background information you have about the book, for example: our library newsletter said this said this book won an award for _____. Asking questions is a great way to make shared reading more interactive. Remember to balance the number of questions asked with the flow of the story, so your child maintains interest in both reading and talking about the book. You can encourage your child to ask questions about a story or book topic by: wondering aloud about ___, pretending to ask the author about ____, or taking turns asking each other questions during a re-read session. Ask your child to share a simple book review: What was their favorite part of the book? Why? Does this book remind them of any other books? Provide your child with the opportunity to ask their own questions about a story or book topic. Don’t be afraid to say you don’t know the answer to a question. Use that as an opportunity to work together find answers. Model for them a simple research process: writing questions down, looking for answers in credible resources, discussing if you’ve gathered enough information to satisfy your child’s question and curiosity, and then writing down the answer as well as any new questions. 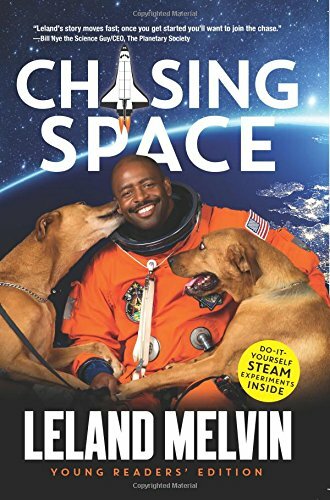 LeLand Melvin narrates his journey from NFL draftee, through injuries and accidents, to serving as an astronaut on the International Space Station. There is also a grown-up version of the book. 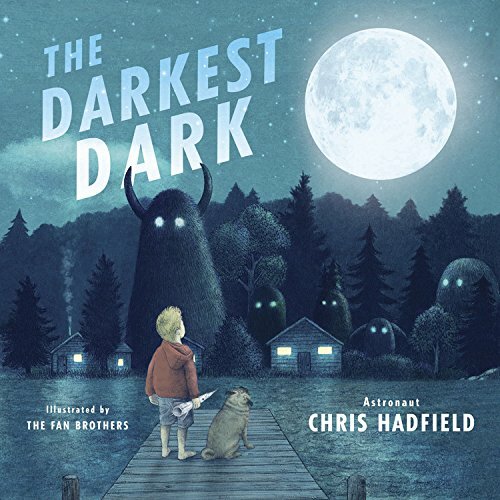 Before Chris Hadfield grew-up to be an astronaut, he was a little boy who was afraid of the dark. 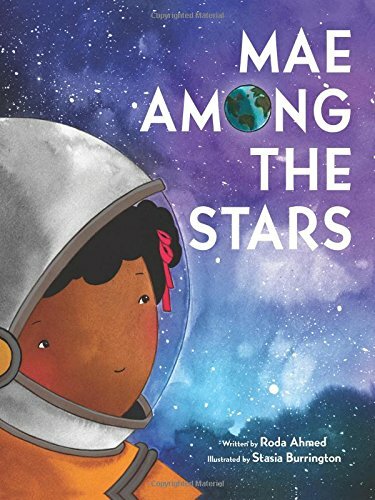 Celebrates Mae Jemison’s persistance to become the first African-American woman to travel in space. 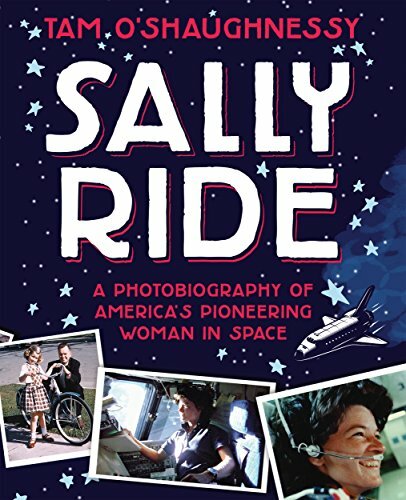 Traces the journey of Sally Ride as America’s first woman in space with vivid details that share her personality behind the headlines. 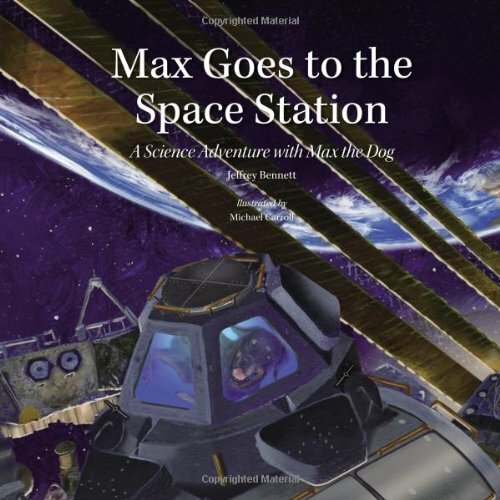 In this book, Max the dog not only goes to a space station, he also saves it! Note the side text boxes with scientific information which can be shared during or after follow-up re-readings of the story. Part of the 2014 Storytime from Space Project when this book was actually read on the international space station. Also, part of an award winning series of books. Nicholas takes a picnic adventure to the moon to enjoy the quiet solitude of space before bedtime. Great for children who need a little quiet time in their routine to re-charge and re-group. 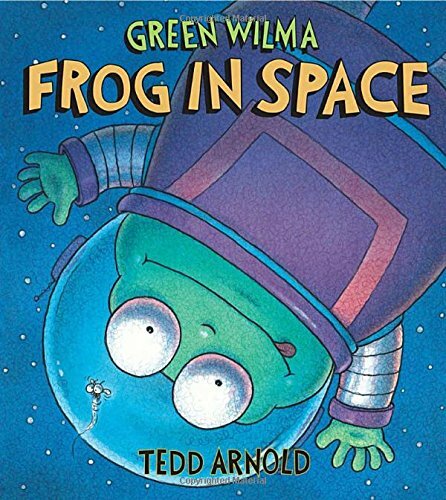 Green Wilma, a frog, and Blooger, a baby space alien, accidentally get their places switched between earth and a space ship. Oops! Can they get home again before supper? Children who enjoy the Hi! Fly Guy series will adore this quirky book. This book was also an IRA-CBC Children’s Choice book and a PBS Storytime featured selection. 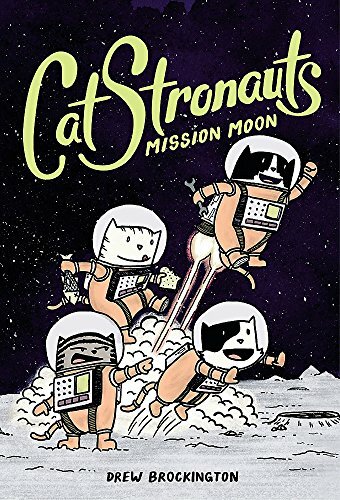 In a universe populated by cats, a brave team of CatStronauts are on a mission to establish a solar energy power plant on the moon. Professor Stephen Hawking and his daughter Lucy co-wrote this series. 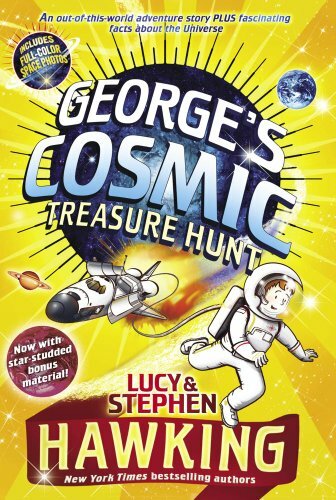 Best friends George and Annie team-up for an across the universe scavenger hunt discovering the wonders of space and space travel. Includes reference information, essays, and photographs from the latest space research. 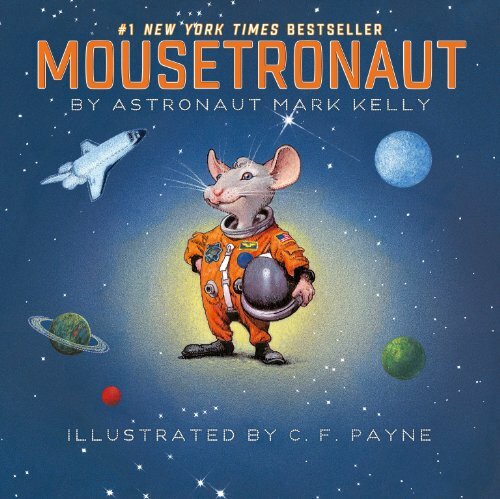 The story of Meteor, the mouse, was inspired by an actual mouse that flew with astronaut Mark Kelly on the space shuttle Endeavor. Use poetry and song lyrics to introduce your child to the interesting sounds in language. Explore poetry pieces and nursery rhymes with alliteration, rhyming couplets, and onomatopoeia. For older children who enjoy structure, patterns, and math try sonnets with iambic pentameter and haikus. Some children find poems where the printed text falls into artistic shapes that reflect the content of the poem interesting. 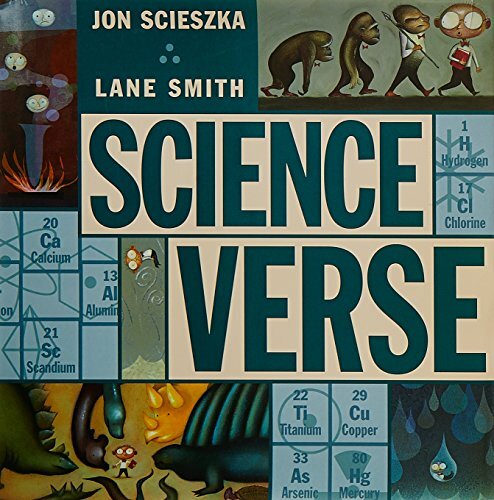 Children who enjoy graphic novels where the text is part of the artwork find this type of poem appealing. With so many variations and styles across so many topics, there is a form of poetry that will interest your child. Poetry is the sound bite of language. Snippets of poetry can convey intense emotions and is a fantastic platform for exploring feelings, words, and how to express one’s self. Children understand more words that they hear than they express or speak. Sharing poems with your child will help them develop their listening-comprehension skills as well as their vocabulary. Try and read the poem out loud to yourself, in order to find the words you want to emphasize and to adjust to the flow of the words. Before reading, talk to your child about any special words. Point out that word(s) and clarify the meaning in a way that your child can understand if it is a new word. For older children, spend a few moments looking up the new word(s) in a children’s dictionary. During the reading, ask your child to let you know when they hear the word or have them touch the word on the page if they recognize it. Provide positive feedback, when your child recognizes the new word(s) and remind them of the definition of the new word within the context of the poem. 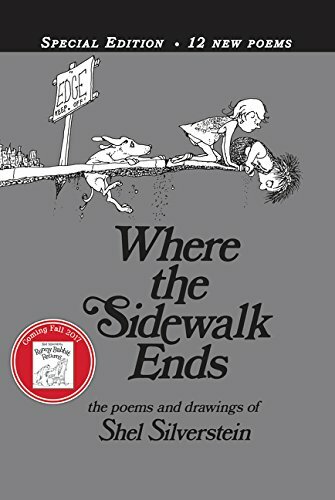 Celebrate a Poem in Your Pocket day by creating a no -sew fabric poem book: Using fabric markers and light colored bandannas or handkerchiefs or pre-cut quilting squares (hemmed with iron-on interfacing), decorate the cloth with the words of your child’s favorite nursery rhymes, song lyrics or poems. Do one cloth a day for a week, letting your child keep the poem “page”in their pocket to “read” throughout the day. At the end of the week turn the poem cloth squares into a book with a simple binding of safety pins hot glued shut to prevent any accidents. Write a poem together using poem pebbles. Brainstorm a list of favorite words – nouns, adjectives, verbs, and adverbs. Using a permanent marker write a single word on a pebble. Pile all of the pebbles together, then create a poem using your word pebbles to build starter phrases. You can do a variation of this activity using sticky notes or index cards for even more words. For older children, use a rhyming dictionary to create a list of interesting words, for example, see Merriam-Webster’s Rhyming Dictionary. A treasure literally uncovered in a barn, these lullabies by the author of Good Night Moon and other classic children’s books are presented with the artwork unique to each piece by different illustrators. Read one lullaby before bedtime as a part of your night time routine. 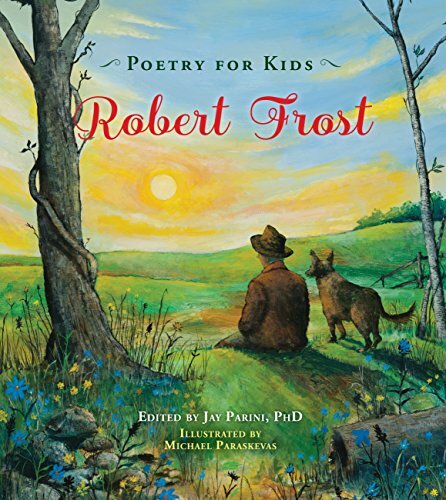 With 575 poems to choose from there will be a poem, that appeals to your child’s taste in this selection. In addition, there are plenty of poems to experiment with in terms of style and topics. 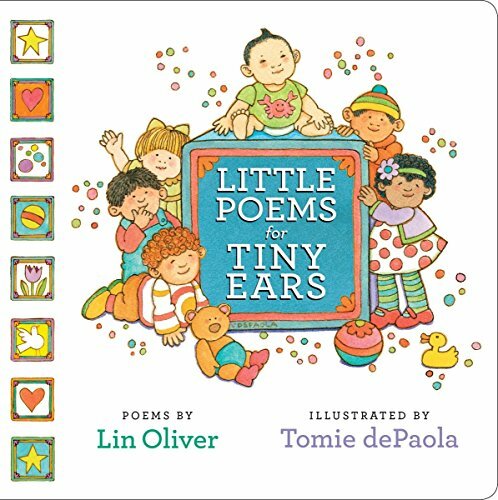 Specifically for babies and toddlers, these poems are simple explorations into the sounds of language on topics familiar to tiny people. 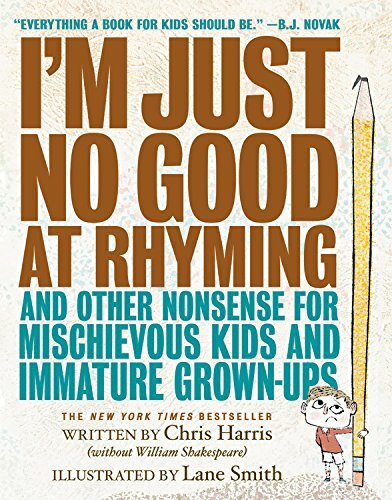 Laugh out loud poems filled with exuberance and zany wit. This collection is on numerous award and best of lists. You are sure to find something to tickle the funny bone. These are great to read out loud if you can keep from laughing while reading at the same time. Our boys grew up loving libraries. On son #2’s 10th birthday, by his choice, we did the two things he loved most in the world – eat at the local Chinese restaurant and then visit the library. He had a special seat by the window in the children’s section where he would curl up and read a stack of books. Later when he was in 5th grade, he wrote a poem about the library that he gave to his favorite children’s librarian. Libraries are a safe haven that children of all ages can enjoy. Celebrate National Library Week! Visit your local library and check out some books about libraries. Depending on your child’s attention span, try reading two books in one shared reading time. Pair a story book with a concept or nonfiction book. Talk about what is the same and different between pretend stories and realistic stories. 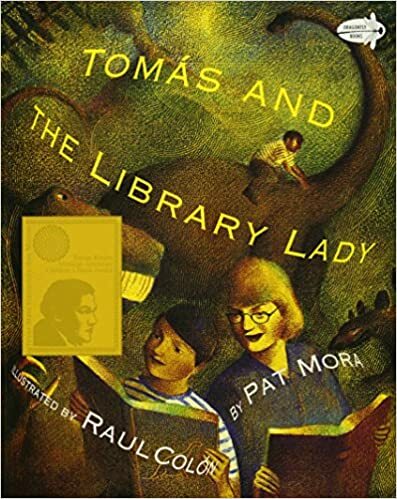 During library story times, in addition to introducing the book’s title, author, and illustrator, librarians also include a short teaser lead-in to focus reader attention. This teaser blurb is known as a “Book Talk”. Your local library may have a reference book of Book Talks for popular story time books or you can see examples of Book Talk in action by viewing episodes of PBS’ Reading Rainbow. Storyline Online also has great examples of Book Talks in action. To build comprehension, point out what is the same and what is different between the story libraries in the books and your local library. To celebrate libraries in the best way possible, plan a trip together to your local library or book mobile. Based on the book you read together discuss what to expect at the library. During the trip talk about your local library’s policies, discuss what is age appropriate and necessary (for example, how old your child is or being able to write their own name) for your child to have their own library card. Celebrate with your child if they are ready for their own library card by checking out a book about libraries or books. After the trip, set up a home library and role play visiting and checking out books. 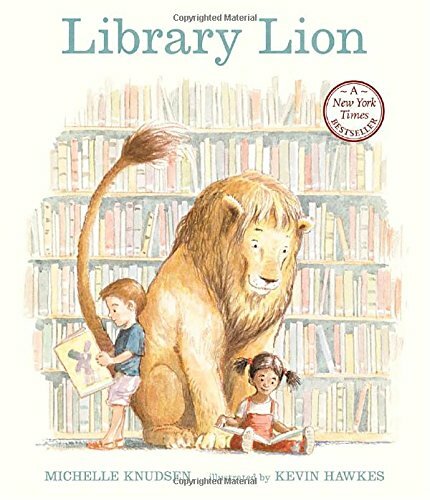 One day a lion drops in for the library story time; Hmmm, let’s see what happens next. 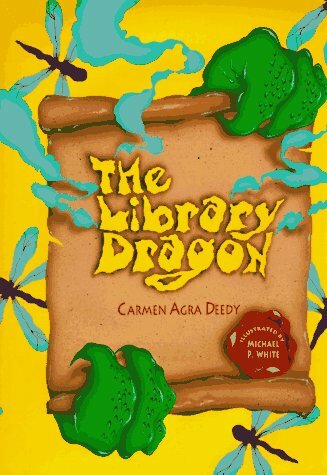 Sunrise Elementary has a new librarian and she’s a REAL dragon. Who’s going to be brave enough to read a book? If you love dragons, also see Do Not Bring Your Dragon to the Library, words by Julie Gassmanand and pictures by Andy Elkerton which has library etiquette 101 delivered with humor and rhymes. 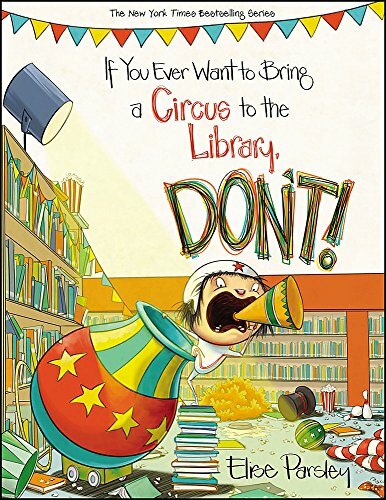 Magnolia takes the “You Can Do Anything at the Library” sign literally and sets up her own big top. 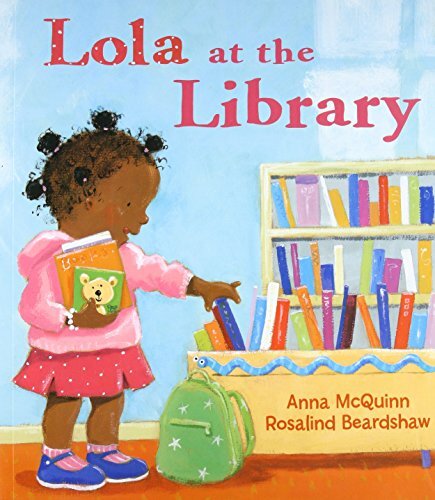 Loud and proud, Magnolia learns what not to do in this cautionary tale about library etiquette. The true story of Tomas, from a family of migrant farm workers, who learns to love reading and books from his mentor a local librarian. Tomas grew up to be the first minority Chancellor in the University of California. See also, Abe Lincoln:The Boy Who Loved Books by Kate Winters. A library that’s a locked room puzzle. Mr. Lemoncello is a game maker extraordinaire and he designed the new library! To celebrate the opening of the library, there’s going to be an overnight lock-in at the library. 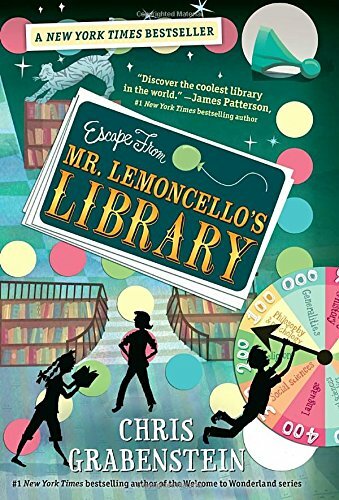 Kyle and friends are on a quest to escape from Mr. Lemoncello’s library. 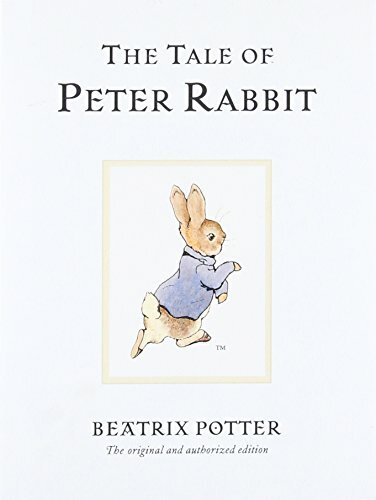 When I first heard of the 2018 live action movie of Peter Rabbit, I must admit to being worried, because I adore Beatrix Potter’s detailed and delightful watercolor illustrations. Peter Rabbit, himself is also an irrepressible trickster with that balance of naughty and nice that makes him so lovable. Of course, ending one’s adventures or rather misadventures with a soothing cup of chamomile tea is a perfect precedent to continue. 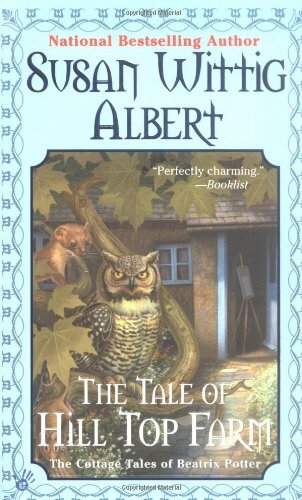 Whatever your thoughts on the movie, take time to read the original inspiration as well as some of Miss Potter’s other works. A reading routine can be soothing for children and help them focus on the story. Examples of routines include time and place of shared reading – before bedtime and in bed or a comfy chair. Include in your routine a way to introduce the book which includes highlighting the title, author, illustrator, and some story clues (blurbs from the back or dust cover flaps of books). This routine will help your child by building anticipation as well as listening skills. Make the reading relevant to your child, by pointing specific character traits and behaviors. The lead characters in this booklist are all rabbits that act like people in both positive and negative ways. In folklore, rabbits often take on the role of the trickster, a clever character who can circumvent typical behaviors for their own positive outcome, for example, Uncle Remus’ Brer Rabbit or even Bugs Bunny. While reading, highlight naughty or nice behaviors that fits the rabbit in the story into the trickster role. Children often enjoy characters that they can relate to, even if they are being naughty, such as Mo Willem’s Pigeon who whines and wheedles in order to get his way. Talk about what your child likes or doesn’t like about the behaviors of the rabbit character. Are they relevant to your child? Is the rabbit a good or bad model of behavior? Would they want to be friends with a person or character with similar behaviors. Depending on the dialog and action, use homemade (finger, stick, or sock) puppets or even stuffed plush toys to dramatize favorite scenes from the books. Reenacting the story plot helps build reading comprehension skills. Mr Rabbit helps a little girl find a present for her mother who loves colorful things. Rabbit and mouse plant a garden and wait patiently for harvest, however, when it’s time to gather their carrots and cabbages unexpected visitors arrive. Gorgeous paintings by an award winner illustrator paired with a lovely story about friendship and cooperation. The adventures of Trixie and her cuddle buddy, Knuffle Bunny, from toddlerhood through preschool years will delight your family. Include The Velveteen Rabbit, words by Margery Williams and pictures by William Nicholson, during a reading session to extend the theme of rabbit shaped toy friends. Max wants to make grandma a cake with worms, but bossy Ruby wants to make an angel cake with icing. Which sibling will be in charge of the baking in the kitchen? On the way to a party, little rabbit loses her hop – how will she get to her family’s celebration? Let children lift the flaps to see how she will get to the party on time. Including real people and locations, this cozy mystery series brings a lighthearted look at the complexity of village life including the point of view and side stories of the animal inhabitants. Grown-up fiction which is approachable for older elementary and middle school readers. So, what do you think? Peter Rabbit — movie or book? Share your thoughts below. Ground Hog Day’s Punxsutawney Phil may get the notoriety for heralding the onset of spring, but to me the surest sign of spring is worms on the sidewalk. My mother is a gardener, so I grew up respecting worms and using gardening gloves to move them from the sidewalk to soil. My favorite worm book is Diary of a Worm by Doreen Cronin with pictures by Harry Bliss. This book inspired son #2’s summer project of a DIY worm composting bin. Due to only having a small patio, we couldn’t winterize the worms and set them free in the fall in time for their dormant stage. The azalea bush is still grateful. When granddaughter #1 is ready, I will probably pair that book reading with the nonfiction book We Dig Worms! — words and pictures by Kevin McCloskey — because they share the same cartoon style illustrations. Bonus: both authors are from Pennsylvania where we live. Select a good time, these books are perfect to read during a rainy day. Get comfortable and cozy; proximity is important because in a shared reading experience you want everyone to be able to see all the pictures and the words. The book should be within reaching distance so your child can help turn the pages (when appropriate by skill and age). Point out the names of the author and illustrator on the book cover. This will build the concept that books are created by people and will subtly reinforce your own child’s agency in creating pictures and stories. It’s time to let your inner Oscar, Emmy, Tony or Golden Globe out. Use funny voices and encourage your child to add in sound effects. During the first couple of read throughs you might want to stick to the main text. For repeated readings take time to explore the dialog balloons or side text boxes; move your along the words to show that you where your are on the page. Ask questions (who, what, where, why, & how) to check your child’s comprehension for the plot and character or factual information. Find a few worms to observe in a jar with local soil (potting soil may not have enough compost nutrients for them) for a couple of days. Feed them small bits of compost material (for example: leftover vegetable leaves) and lightly spray the soil with water. Also, make a wrap around sleeve of cardboard for darkness when you aren’t observing them. (See the nonfiction books on earthworms, they don’t have eyes but do have light sensitive cell receptors) Like a any good scientist, encourage your child to take dated field notes (pictures, dictation, bullet points) or like the worm in the book keep a diary for the time you have your wormy guests. Besides observing them, there are a few experiments you can try with your worms. For example, while on a tray place the worm in front of wet paper towel and a dry paper towel, in which direction will your worm move? After a few days, do the capture/release or search & rescue (if you saved them from a wet sidewalk) and set them free because the earth needs worms in the environment. With humor and clever cartoons, this book takes you through the day to day life of a young worm. There is also an easy reader spin-off in the I Can Read series that extends your stay in this setting as well as a companion picture book Diary of a Spider. Best Lowly Worm Book Ever! Nostalgia for grown-ups and new adventures for children, readers follow Lowly Worm as he rides around in his apple car on a busy day. Plenty of details in the pictures will keep children engaged during re-reads. Huck Scarry completed the book making process for his dad. Basic introduction to earthworms with photographs for up close illustrations. Also see similar photographic works: Earthworms, by Lisa J. Amstutz; Earthworms, by Nikki Bruno Clapper; Earthworms, by Claire Llewellyn and Barry Watts. Snail and Worm are friends, share three stories about their friendship. The mini-chapters can be read by new readers on their own. There is a previous work with the same duo, Snail & Worm. Also see, Wiggle and Waggle, a beginner chapter book by Caroline Arnold that features the friendship between two worms. The author/photographer shares his trip to a village in Thailand, where all the town’s people including the children work together to produce cloth from silk worms. Pair this travel story with How to Eat Fried Worms, because there is a photograph of villagers eating boiled silkworms with their lunch, nothing gets wasted in this culture. Shares facts about worms with a focus on how earthworms aid in plant growth with their tunnels and castings. In the back of the book, the author shares great tips on how to read comics with kids. Our spunky heroine, Winnie Finn is on a quest to enter her worm friends in the Quincy County Fair, even if there is no category for worms. See the back of the book for advice on starting a family worm farm. With humor, a worm introduces himself to the readers, along with a variety of worm facts. The cartoon illustrations will pair well in a read along with Diary of a Worm. In rhyming verse, two children play in rain as worms underground raise up to explore the wet ground. Superworm saves his friends, the toads, the bees, and the beatles, however, when Superworm is caught by the wicked Lizard wizard, it’s time for Superworm’s friends to save him. Bridges the gap between a fiction and nonfiction book. While gardening, a grandmother explains to her grandson the importance of worms, so this book provides an overview of worm facts within a gentle setting. The day before I went to see the grandgirls, I was in the bookstore and saw a picture book with a funny cover that was on sale. Of course, I just had to buy it! It was one of the best things I have ever bought in my life. I was on the second or third re-read of Mother Bruce with granddaughter #1 , who is currently age 2, when my son sat down near us. He chuckled along, then laughed out loud when we got to the page “He liked to support local business, you see.” My daughter in-law came into the room when we got to the section “Bruce was very stern and said things like ‘Go away!’ And ‘I am not your mother!’ And also ‘I liked you better when you were eggs’” and she blurted out “What are you reading?” with the most incredulous look on her face that my son and I broke out in chuckles; context is everything. Granddaugher #1, of course, was not impressed that there was an interruption to her story time. That weekend we read Mother Bruce at least a half dozen more times. Since then, my husband has taken the book into work to show his colleague who also has grandchildren, who also loved it. Spread the joy, spread the laughter! Laughing out loud with your kids is a good thing. Research shows that laughter and humor connects with cognitive and language development as well as positive social/emotional growth. In order to get a joke or see something as humorous, a person has to have an understanding of cause and effect. More complicated forms of humor require abstract thinking with an ability to use symbols or substitutions of one thing for another or knowing when one thing does not belong within a set (as the old Sesame Street song goes “one of these things is not like the other…). Laughter is a solid way of knowing that your child has a growing awareness of situations around them and can perform simple analysis by categorizing a scenario as funny. So, reading and laughing with your child is time to be enjoyed and encouraged. When you introduce the book, note the title, author, illustrator, and say that this should be a fun story or funny book. Comment on any cover art that gives clues on story plot or what your child might find funny. Point out plot points, phrases, or illustrations that provide humor clues by noting that something is silly or funny. Note expressions on characters’ faces that show how they feel and ask your child to describe those feelings. Ask your child what they thought was the funniest parts of the story or pictures and what makes those pieces funny. During re-reads build vocabulary by labeling those funny parts as silly, ridiculous, quirky, witty, amusing or droll as alternative words for funny. For older children try some symbolic substitution, would they still think the scene was funny if it happened to them. Turkey makes this introduction to colors and getting dressed an adventure with his silly antics. Also, purple socks! Pigeon tries to beg and whine his way with the reader, but the bus driver said, “Don’t let Pigeon Drive the Bus!” Son #3 adored Pigeon (perhaps because they were so alike?) Will be a family favorite! Also see Mo Willems’ Knuffle Bunny trilogy. Bruce, a solitary and grumpy bear, is faced with hard work and challenging choices when a case of mistaken identity turns his fancy breakfast into gosling fosterlings. What’s a bear to do when his geese won’t migrate? A twist on the typical first day of school story, here is Giraffe’s first day in the jungle. Why does everyone think he’s a chair? How is Giraffe going to clear up this confusion? Muddle the duck and Mo the goat are both friends. Mo helps Muddle figure out their differences when Muddle doesn’t understand that Mo is not a duck too. Expect the unexpected, this is not your typical guessing game. Each rhyming riddle sets the reader to guess the answer, but the illustrations provide a misleading clue to a totally random and clever reveal. Three cows invade chicken’s sofa with jumping, dancing and wiggling. Kids will want to join the cows in their fun and pretend to be cows too, while the grown-up reader came sympathize and give voice to the exasperated chicken. ; an easy book to dramatize while reading. A class field trips gets turned upside down, when the hippopotamus goes missing. Similar to the escalating hilarity found in Dr Seuss’ And to Think I Saw It on Mulberry Street, this story builds as a dad explains to his kids in great zany detail, why it took him so long to fetch some milk for the breakfast cereal. The ultimate book to showcase “Dad Humor” with this dad’s improbable adventures. Twitch the squirrel get chased into the school by Cuddles the principal’s dog, now the school pets are on a rescue mission to save Twitch. Jamie Grimm is on a quest to become a comedian and entering The Planet’s Funniest Kid Comic is a step towards his goal; but his journey is filled with both comedy and drama, because hey, this is a middle school story. The world is suppose to end on Saturday, but where is the Antichrist? A bookish angel and a demon with car issues team up to save the planet. The title says it all and the 1987 PG movie adaptation is a rare gem since it is just as good maybe even better than the book, both are classics. Mort, slightly inept but with a good heart, becomes the apprentice to Death, yes, that Death, the one with the horse and scythe. A great introduction to the madcap and marvelous Discworld series.